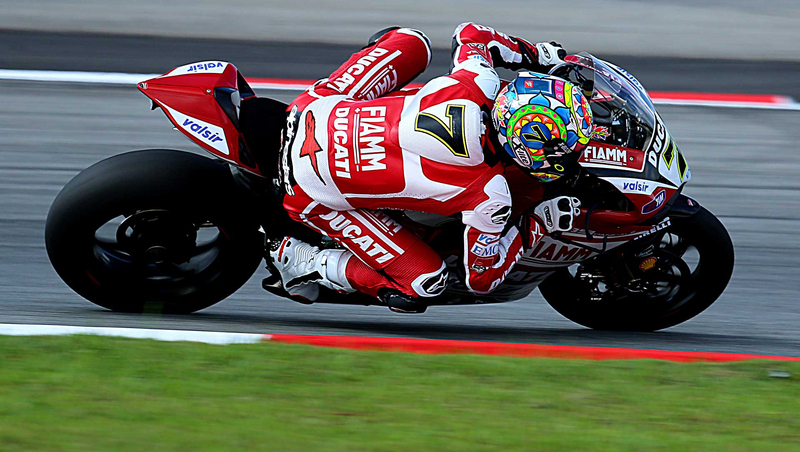 Motogear | 2011 World Superbike Champion and MotoGP race winner Carlos Checa confirms rumours that he is to retire from racing. 23 Oct 2011 World Superbike Champion and MotoGP race winner Carlos Checa confirms rumours that he is to retire from racing. Checa took the opportunity to make his emotional announcement at his home circuit in Jerez on Saturday during the final WSBK round of the 2013 season. His announcement comes after a season which has been affected by a series of crashes and injuries, the most recent sustained in Instanbul last month which brought his season to a premature end due to a hip fracture. “This year I am celebrating twenty years of racing at world championship level. I am extremely proud of this long sporting career, which has given me many special memories of all the teams I have worked with. I have had the opportunity to compete at the highest level, riding the best bikes and winning against the best rivals. My aim has always been to discover my limits and to be able to take a close look at myself in order to continue to learn, grow and become a better rider and a better person. This is something that would not have possible without taking this path, full of risk, but which has also provided me with great challenges, adversaries and emotions; a long climb which culminated with my best season in 2011. There is a moment that will always arrive in the life of a sportsman, the day on which you say enough is enough. This day has arrived for me today. It was not an easy decision, but one that I’ve thought long and hard about. I am grateful to the entire motorcycle family, to those who make it possible for this world to exist and especially to those who have supported me and followed me from the start, for having given me the opportunity to pursue my dream and live a life that I wouldn’t have changed for any other. I will now move on to discover new things about myself, a new and stimulating phase now begins for me in Ducati. It will take time to adapt but I am confident about my future and the satisfactions that it will surely continue to give me. 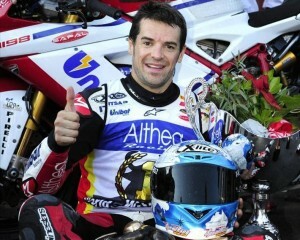 Nolan has created a commemorative Helmet to celebrate Checa’s twenty year career. The helmet, with its special graphics, was presented to Carlos just after his announcement. A further tribute to Checa’s achievements will be at the Jerez circuit’s new museum, opening to the public in 2014. 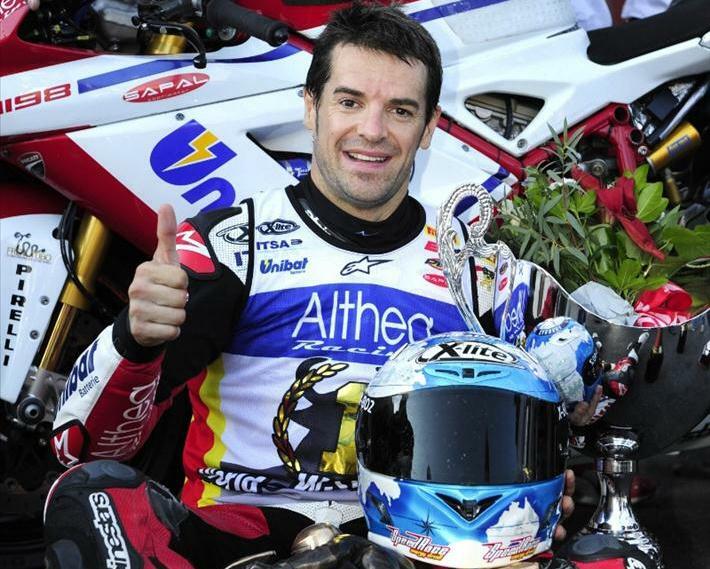 Part of their ‘Hall of Fame’ will be dedicated to Checa who remains the only Spanish rider to achieve such a brilliant career includng WSBK World.